The ICIAM 2011 Olga Taussky-Todd Lecturer was Beatrice Pelloni, University of Reading, United Kingdom. She spoke on Boundary Value Problems and Integrability. Beatrice Pelloni's research area is integrable systems and initial-boundary value problems for partial differential equations. Over the last 15 years, Dr Pelloni, in collaboration with A.T. Fokas, has made radical developments to a key mathematical technique used for solving mathematical problems throughout the physical sciences and engineering. Dr Pelloni's work has focused on so-called â€˜transform methods', a basic component in the mathematical toolkit of all mathematicians. These methods are valued by engineers as they lead to simple formulae for the solution to a very wide range of real world problems. 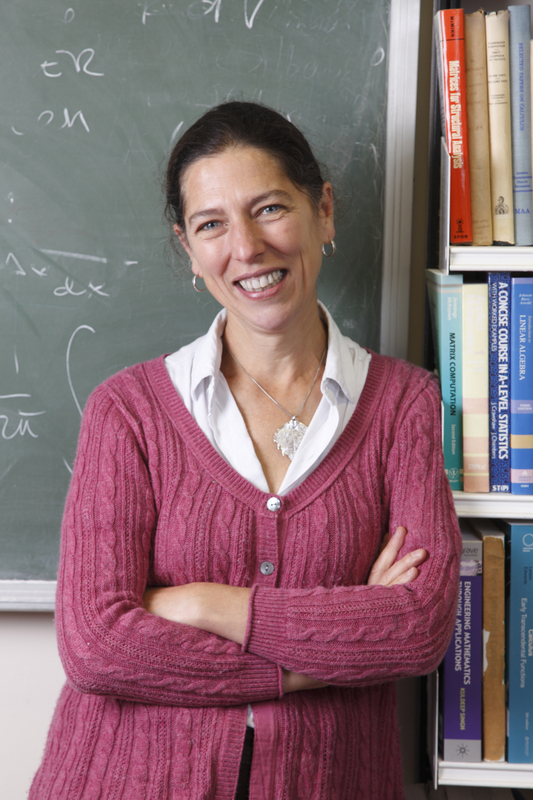 Her recent research contributions include deriving integral representation formulae for solutions of intial-boundary value problems for evolution equations in time-dependent domains; analysis of the spectral structure of differential operators on the half-line; spectral representations for some model non-self-adjoint problems; asymptotic behavior of solutions of the sine-Gordon equation on the half-line; and the first general results on the elliptic sine-Gordon equation. Beatrice Pelloni received her BA (Laurea) in Mathematics from the University of Rome, and an M Phil and PhD in Mathematics from Yale University. She held a research position at the Greek research organization IACM-FORTH before joining the Department of Mathematics at Imperial College, London. Since 2001 she has been Lecturer, Professor, and, recently, Head of Department, at the University of Reading. She is the mother of four children and a strong advocate for women's participation in the mathematical sciences. In 2010 she chaired the round table, "Women Mathematicians around the World", at the International Conference of Women Mathematicians in Hyderabad. I will discuss a unified method for analysing boundary value problems for integrable PDEs posed in a convex polygon. Integrable PDEs are ubiquitous in mathematical physics, as they include linear PDEs with constant coefficients, and several nonlinear PDEs arising in the modelling of a variety of physical phenomena. Using this method, the solution is expressed as a complex contour integral uniquely defined in terms of the boundary values. I will illustrate, through specific examples, a constructive approach for characterising the unknown boundary values in terms of the given boundary conditions. I will also discuss interesting unexpected consequences of this approach. Robert Tichy (TU Graz, Austria).